Regardless of if we use feet or fins we all share the waters of the world. Dive in to global discovery as our siren story tellers make the world of water come alive with of the diversity of people and animals who call our oceans home. Each of our swimming mermaids has their own unique cultural stories based on their native habitats and journeys around the world. 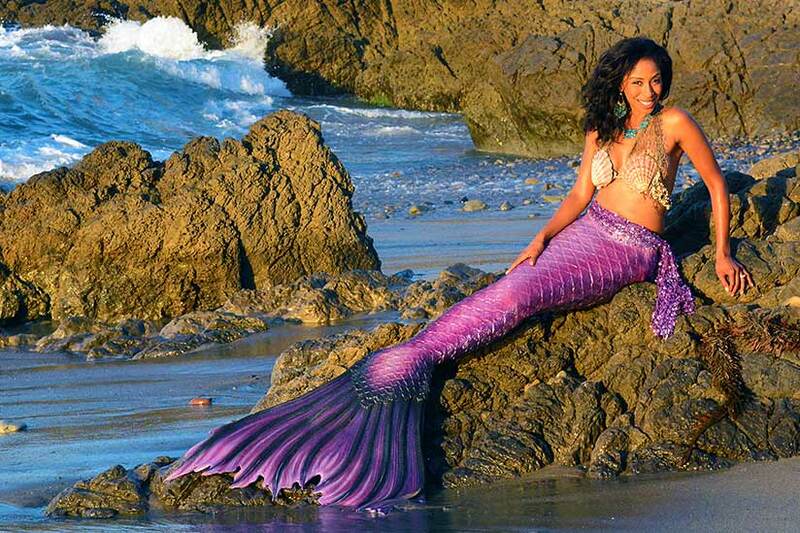 Will you learn about the breathtaking Chinese Dragon Boat Festival with Mermaid Lily? Hear about the spicy wonders of New Oreans jazz and jambalaya with Mermaid Merici? 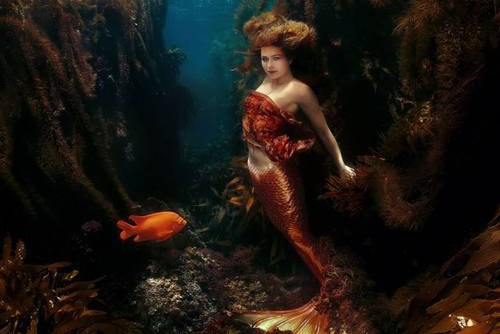 Or maybe dive in to discovery of the California kelp forests and Hollywood glam-mer with Catalina Mermaid? Sea of Diversity is a one-of-a-kind show that makes learning foreign languages and culture fun. At the end of the show your zoo or aquarium guests will know elements of three unique communication methods, have an increased awareness in working with friends or family with hearing difficulties, and be able to immediately start using their new skills while exploring exhibits at your facility. While this show can be land-based only, its messages of global outreach and "try" really shine when the audience is transitioned from the show to work with a real swimming mermaid where guests looking through the glass can practice talking to her while she is under water! Call us at (805) 328-4911 and show children that they can be anything that they want to be.